We think it is important that farmers and eaters know each other. We also know that we lead busy lives and healthy eating can be hard to do, especially these days of diets and fads when everyone has an opinion. The Bayfield Foods CSA will take you back to a simpler time when food came from a garden, an orchard, or a pasture and when healthy eating was simple and delicious. Are you ready to join us? ​Ordering for the 2019/2020 season now open! Are you ready to work with fresh, seasonal ingredients year round? Our all-inclusive Whole Diet boxes are just what you've been looking for! Our most popular offering, the Whole Diet box runs from May 30 through the first week of March and includes our full selection of fruits, vegetables, and meats. Go even further to make it a Whole Diet Plus box to include a selection of our specialty goods. Not ready for Whole Diet but want to make eating and cooking with fresh local foods a regular part of your routine? Our weekly or bi-weekly vegetable, meat, bakery, or fruit boxes are a great way to make healthy local foods a part of your life. Choose the box subscriptions and delivery schedule that work for you. 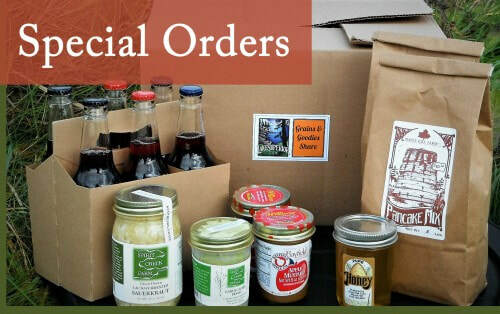 Looking for fresh local foods, but not ready for a CSA subscription? Sample some of the many fine products from the farmers and producers of Bayfield Foods with a special order. Available for pick up at our drop-point locations in Duluth and northern Wisconsin. Want to bring some beauty into your home? 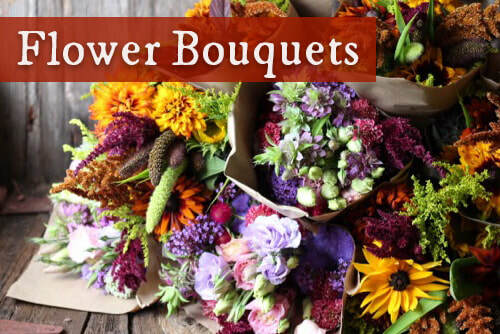 Bring the glorious color of the farm into your home with fresh-cut seasonal flower bouquets from Wild Hollow Farm. Flower varieties in each hand-arranged bouquet will reflect the seasonal flow of the farm, and will vary from week to week. Expect a beautiful array of colors and textures, all grown without chemical use and wrapped in a brown paper sleeve.